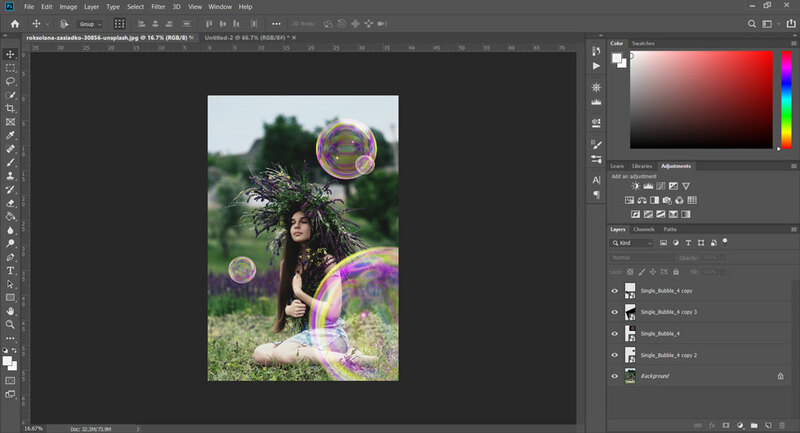 In this tutorial, we’ll be taking a look at adding bubbles to your photos inside Photoshop CC and the various ways in which you can edit them to appear more realistic. 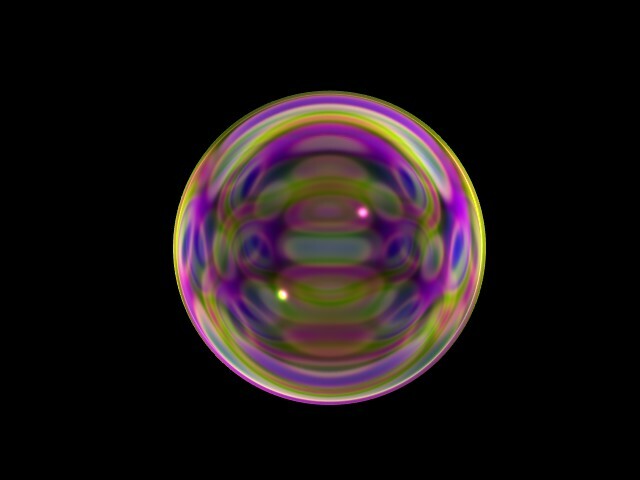 The image below is what we’ll be creating in this tutorial. Let’s get started! The first thing you’ll need is an image of a bubble. You can either shoot a picture yourself, or you can find many free ones on the internet if you search for “free bubble overlay.” We went ahead and made one just for you so you don’t even have to search. Right-click and tap save to download it to your computer. Note: This is from our bubble overlays package which you can get over on our store. Resize and reposition to whatever you’d like. 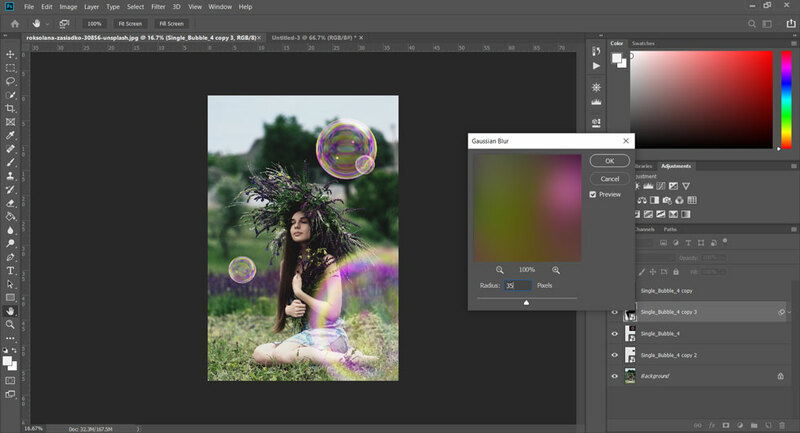 To remove the black and leave only the bubble visible, you’ll need to set the blending mode to “screen.” To set the blending mode, select it from the drop-down menu as shown in the image below. From here, you may already be done! But maybe you’d like to add more bubbles with blur for a more realistic look. 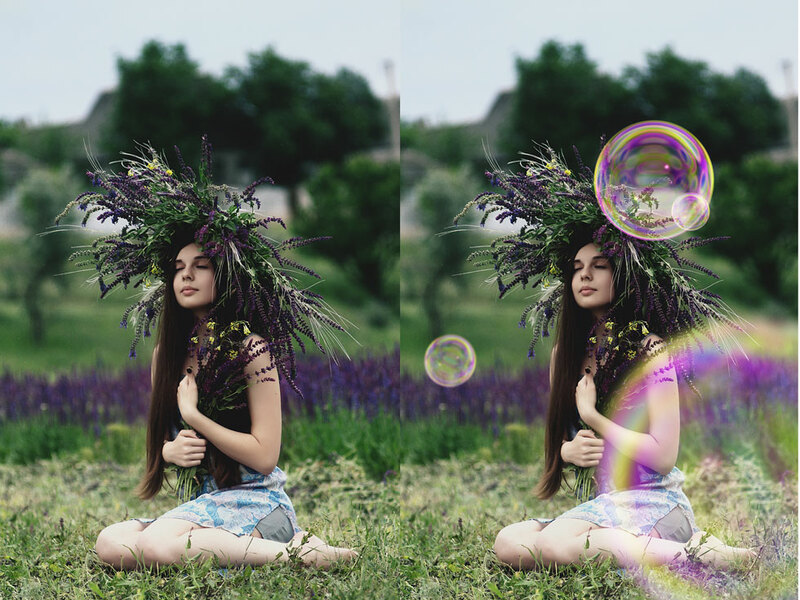 To add more bubbles around the image, we can simply duplicate the layer and reposition them. 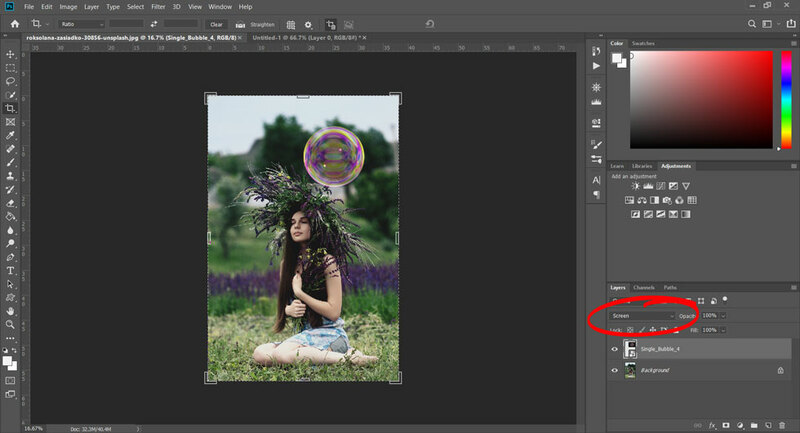 To duplicate the bubble, right-click it’s layer then select Duplicate Layer. Do this however many times for how many bubbles you want. That’s it! 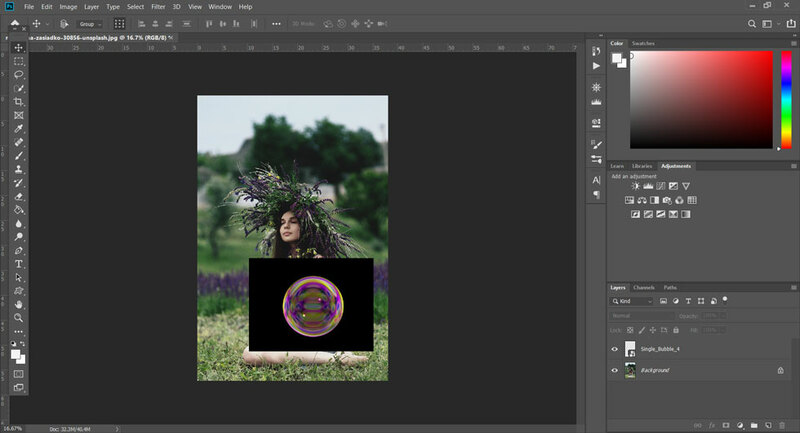 You successfully added a bubble to your photo in Photoshop CC. Not too hard right? Feel free to share the images you edited using this tutorial. We’d love to see it.